Welcome to my new website! I have been busy: digging tunnels, clearing out old debris (like an outdated former book website), and generating new blog posts. It has been a pleasure to work with and receive guidance from Sondra, a friend and social media professional. She has been very patient with me and my — ahem, questions. 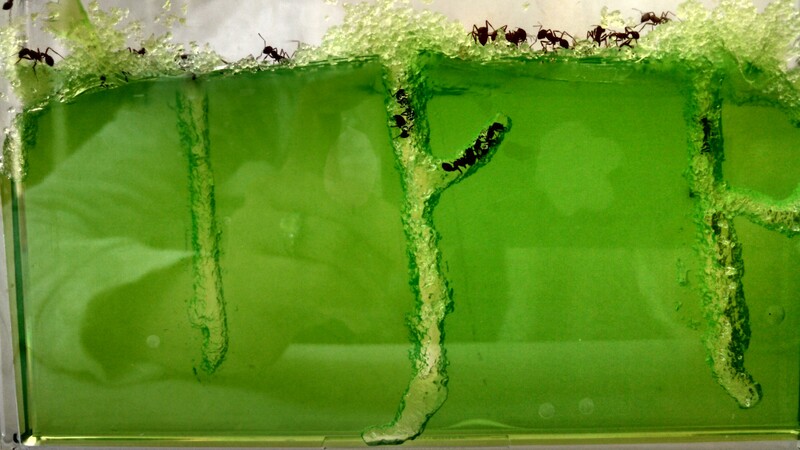 The photographed ant farm belongs to my eldest daughter. I relegated it to the garage, of course. Who wants harvester ants INSIDE their home? Let alone, near their desk, or bed or kitchen. Well, after reading about them, I find them completely inspiring. Harvester Ants from Colony IPP have been welcome into my home with a red carpet. We ensure their habitat isn’t too warm (I mean, they work so hard all day long, why bake them?). We can’t identify the queen, yet; however, my daughters imitate her voice when they stare at the farm: “Go this way! Make way for the queen! Intruders are lurking. Get back to work!” She is not a very nice, nor tolerant queen. Never in my wildest dreams did I think that I would have to live with or among insects. But of course, I daily confront spiders in my house. About one third of my home is covered in ivy, so yes, I live amongst spiders. My cat, Hot Pants, had a flea on its head the other day. And now, I am caring for ants. This is in addition, to the fish, dog and cats I already provide daily food for. Clearly, I am weak in the “No, we can’t have another pet” department. I should practice saying that. For reelz, yo.